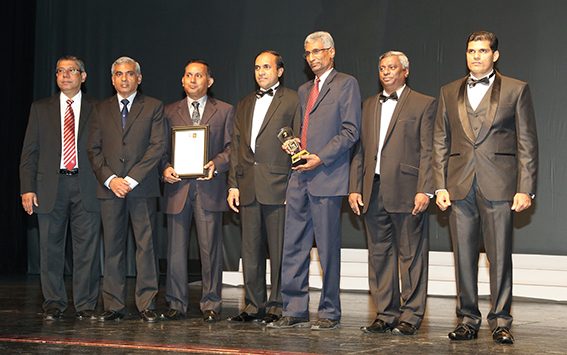 Industry leader, “Sri Lanka’s Master Printer”, Aitken Spence Printing’s further strengthened its leadership in the region with international benchmark in certification for integrated management system (IMS) in compliance with ISO 9001:2008, ISO 14001:2004 and BS OHSAS 18001:2007. 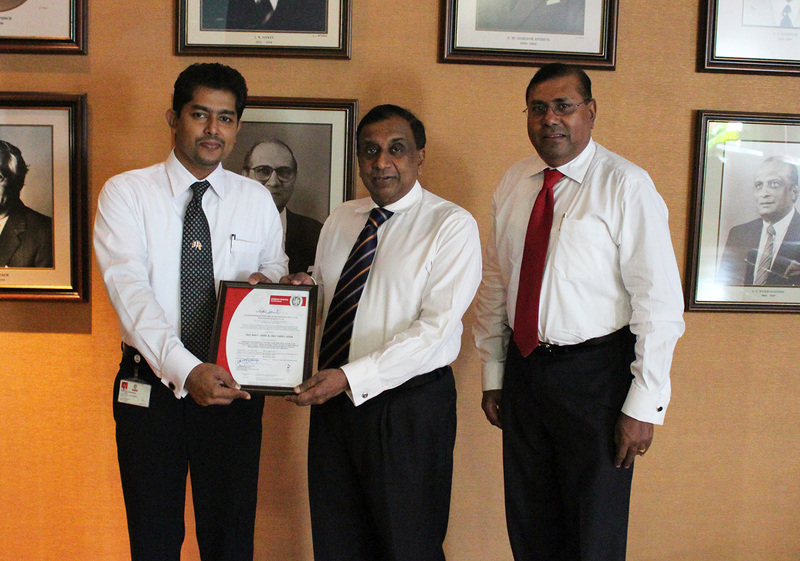 The comprehensive audit was carried out and certification was awarded by Bureau Veritas Lanka (Pvt) Ltd. Previously the Company’s 77,000 sq. ft. new facility spread over 3.4 acres on the outskirts of Colombo with modern technological and sustainable features was awarded LEED-NC: GOLD Certification under the newly established campus category, by the U.S. Green Building Council. ‘We recognize IMS is well-aligned with our long-standing commitment to sustainability and with our reputation for providing the industry with the best and most innovative solutions in sustainable printing and packaging. We believe in an adaptive manufacturing style that will continuously help us to grow by developing differentiated, practical, and ingenious solutions while building lasting customer relations” said Mr. Prasanna Karunathilake, Managing Director of Aitken Spence Printing. 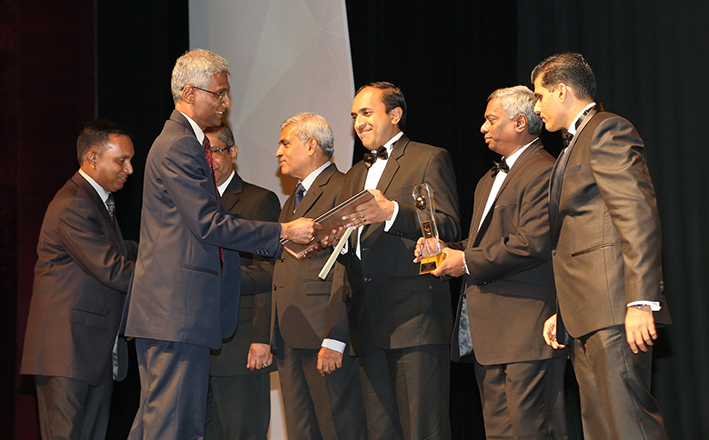 The only Sri Lankan organization to be selected as a finalist at the ‘Sustainable Vendor Award 2014’ at the Fonterra Vendor Awards & International conference in New Zealand in year 2014, the Company continues to be internationally recognized for its commitment to sustainability. The awards are presented to exemplary organisations that consistently demonstrate outstanding success in their work in the criteria of commitment, potential benefits, innovation and best practice, and ease of implementation. Noting on emerging as a finalist Mr. Prasanna Karunathilake added “We are pleased to place Sri Lanka in the global map for sustainable printing and packaging solutions. It’s extremely rewarding to see how our company has evolved quickly to a sustainable printing and packaging solution partner internationally”. “Having grown along with our success, we are committed to sharing and supporting local communities and industries in Sri Lanka” He further added. Such an initiative was recently concluded with the re-establishing and refurbishing deaf & blind school’s offset printing unit. The school enables care to over 400 students who are now able to access the renovated facility that was in dilapidated condition. Further the Company has arranged tailor-made training programmes for differently-able students and recruited an individual. 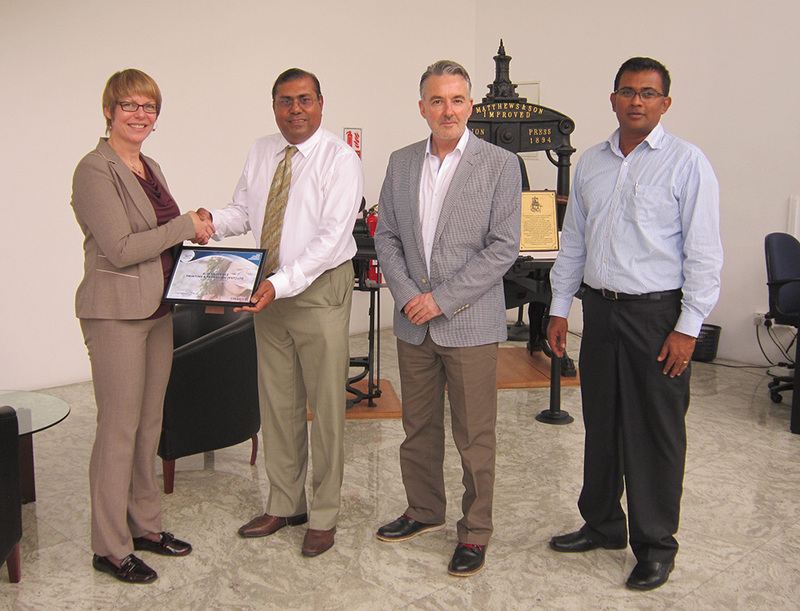 Ms Andrea Gregory – Director – Group Procurement of Fonterra, New Zealand handing the Finalist award for ‘Sustainable Vendor Award 2014’ to Mr. Prasanna Karunathilake Managing Director of Aitken Spence Printing, with Mr Murray Bays – Regional Procurement Manager Fonterra, New Zealand and Rohana Navaratne , Assistant Vice President, Aitken Spence Printing. The Printing facility’s surrounding – the Mawarmandiya community is constantly engaged through creation of job opportunities for the youth, while providing English and Computer training programmes for the children through the parent company’s initiative – ‘Empowering Sri Lanka First’ (ESLF). The Company continues to invite scholars to factory in order to study, evaluate and understand best practices and sustainable initiatives followed by the organization. With a heritage spanning over five decades, Aitken Spence Printing is known as an innovative quality printing and packaging solutions provider for prestigious international brands in fast moving consumer goods, tea, confectionary, cosmetics, pharmaceuticals and apparel industries locally and globally. It is also recognized as top quality printer for corporate reports, coffee-table books, magazines and other high-end publications.